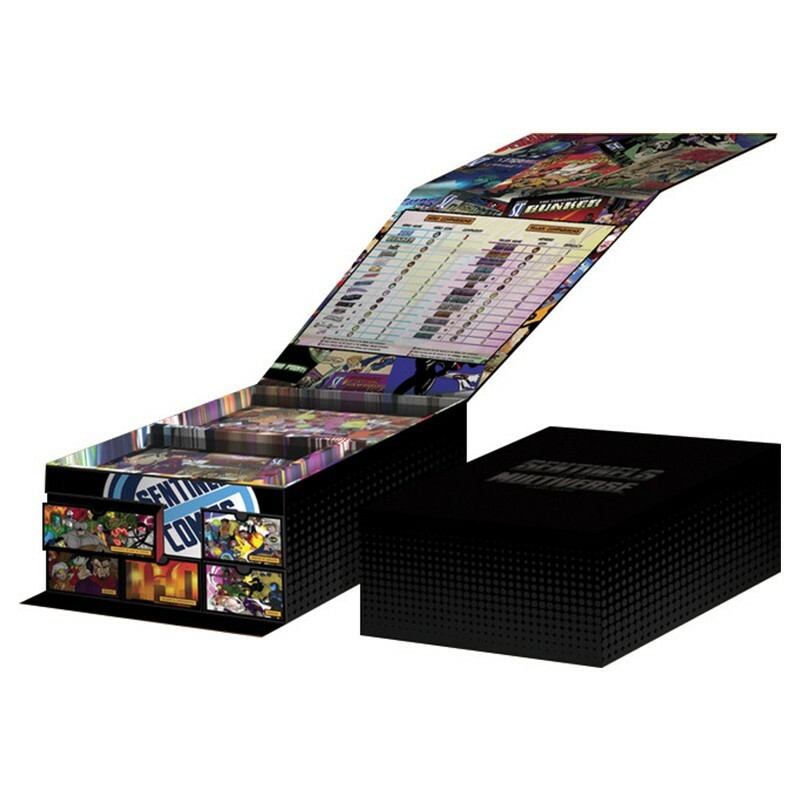 Introducing, the Sentinels of the Multiverse Ultimate Collector's Case! Decorated with beautiful art and elegant design, the interior of the case features trays in the top for tokens, rulebooks, and more, and drawers for oversized cards, hero character cards and variants, villain decks, hero decks, and environment decks. The Ultimate Collector's Case can hold ALL of the Multiverse!